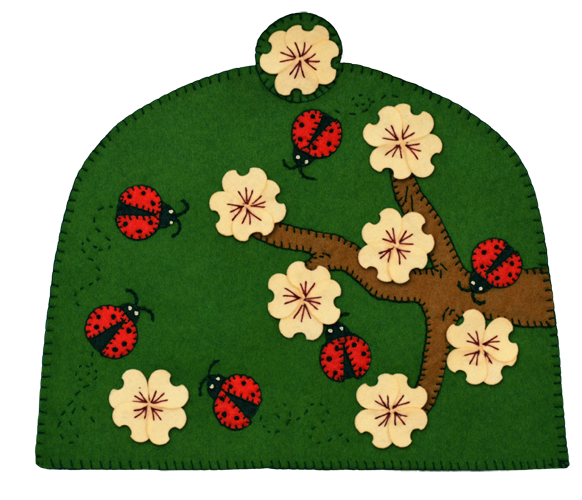 This ladybug tea cozy makes a perfect addition to your kitchen or to help steep that pot of tea when serving your company with the ladybugs wandering among the cherry blossoms. 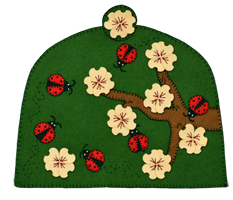 It is approximately 12″ wide by 10″ tall and fits medium sized tea pots. 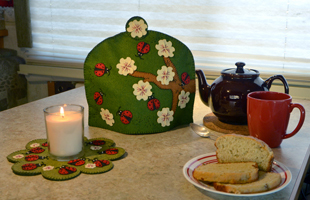 It is constructed using double layers of felt to provide the extra insulation to help the tea steep just right.